The Freedom Model Program promotes the truth about drug addiction and that is: the disease of addiction is a myth. There is no disease of alcoholism; there is no disease of dependency; and, there is no disease of addiction! This is just one of many areas where the Freedom Model Program departs from other Drug Rehab Facilities and why the Freedom Model Program is significantly more effective than the Residential Drug Rehab Programs treatment models in Nevada. In recent surveys preformed in Nevada regarding heroin use, 470 or 4.9% of Nevada's 9,617 state residents admitted themselves into treatment for heroin. This survey was done by The White House Office of National Drug Control Policy. This survey was not including the 1,561 state residents who admitted themselves into treatment for either opiates or more than one drug. Studies also show that 48,000 or 2.6% of Nevada's citizens reported needing but not receiving treatment fort illicit drug and alcohol use in the past year. Surveys indicate that 2.3% of high school seniors polled had tried heroin at least one time in their lives. Mexican black tar heroin remains the most prevalent heroin available in Nevada. There has been an increase of Mexican black tar heroin within the Clark County portion of the Nevada HIDTA controlled by Mexican nationals. Mexican poly-drug trafficking organizations control the heroin trafficking in the state. 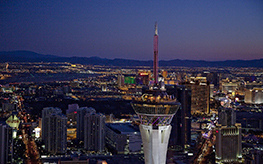 These trafficking organizations continue to recruit Mexican nationals to live in the urban areas of Nevada to distribute heroin for the organization. User amounts of low purity black tar heroin remain readily available from these low-level suppliers and are most often distributed in open air markets. Mexican Brown Heroin is moderately available in Clark County and its distribution is also controlled by Mexican Nationals. Looking for help with addiction to Heroin can seem an impossible hope. The reason is treatment for addiction doesn’t work and only ends in a lifetime cycle of relapse and recovery instead of being able to stop addiction and put it in your past. You want to build a fulfilling life, not a life lived around recovery and fearing your next relapse. There is a better solution and it’s not treatment—it’s non 12 Step. If you live in Nevada, you already know the rates of Heroin addiction are climbing. With so many resources spent on rehabs and traditional treatment, how can the problem be getting worse? In a word: relapse. Relapse is a serious issue and all the more so as treatment not only ignores dealing with it but instills an expectation and fear of relapse in those who go to treatment. It’s not uncommon for people to be told while in treatment to expect to be back for more treatment when they fail. In only one year in Nevada, 989 people sought treatment for Heroin addiction and 77.3% or 764 people relapsed. On the one hand treatment tells you that you are the cause of relapse yet they never give you information or help to move beyond. A more effective long term solution is a non 12 Step program that not only gives you accurate information on addiction but also helps you write a solid plan for meeting the goals and dreams of your life. At Freedom Model Retreats, we start with addiction but that’s just the beginning. Relapse can seem scary if you don’t know what to do next. Instead of returning to treatment that didn’t work before, many people in Nevada look to Freedom Model Retreats for help with Heroin addiction. The reason is clear. With over 27 years of research and experience, Freedom Model Retreats offers a proven effective completely non 12 Step alternative to treatment and the fear of relapse. Freedom Model’s program is self-directed so your plan fits your goals and passions ensuring you are really invested in the outcome because you wrote it. Treatment programs give you a cookie cutter plan written by someone else who focuses on abstinence and not what happens after—the rest of your life! If you see addiction as a problem to overcome and not your identity, it’s time to come to Freedom Model Retreats. If you have believed that you can’t change, let us help you prove to yourself that you do have power to change. Our program focuses on cognitive behavioral change to help open up your world of options and make life worth living, not enduring. 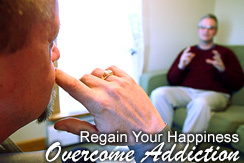 Come find out what a life beyond addiction, relapse, and recovery can look like for you. Call Freedom Model Retreats and let us help you start your new life now. Seeking A Heroin Rehab In Nevada? Find the Proven Solution At Freedom Model's. Many Nevada Heroin treatment centers will make you believe that the only solution to your problems is in fact Heroin treatment. This is not true. People overcome Heroin every day without treatment and without addiction professionals dictating how their lives should be lived.